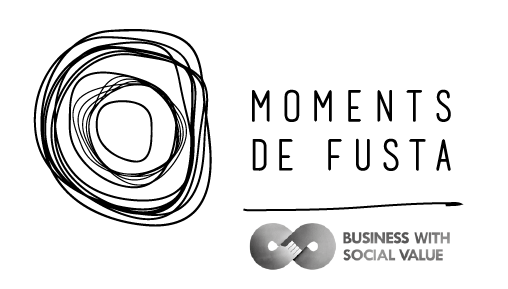 At MOMENTS DE FUSTA (Moments of Wood) we design and create different articles for three distinct product lines: Moments of WORK, Moments of SCHOOL and Moments of HOME. 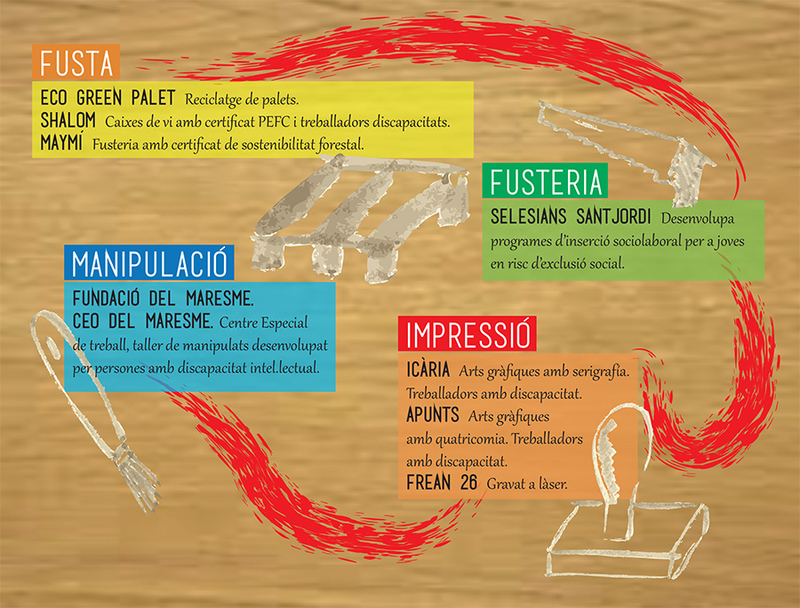 Once we have defined the industrial and graphic design elements for Moments de Fusta, we locate and obtain the necessary wood from our suppliers. Then, youths participating in the work placement program process the wood, crafting it into fine products. Finally, the pieces are printed in the workshops of collaborating graphic arts businesses. If any final product requires packaging, this step is carried out by a group of disabled workers. The result: original and personalized items with high added value due to the creative and artisanal process behind them and the fact that they are produced by persons at risk.